LAS VEGAS, Jan. 7, 2013 -- CONSUMER ELECTRONICS SHOW -- Today The LEGO Group announced LEGO® MINDSTORMS EV3, a new platform for consumer robotics designed to introduce a younger generation to the excitement of building and programming robots while adding new flexibility for its devoted following of robotics enthusiasts. 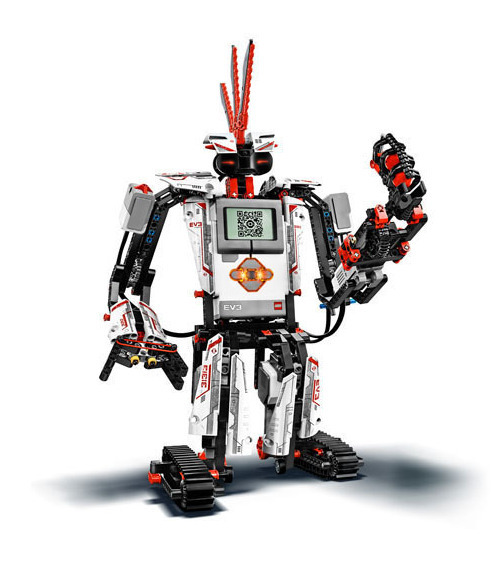 Unveiled for the first time at the Consumer Electronics Show in Las Vegas, Nevada, LEGO MINDSTORMS EV3 is the result of three years of product development by an international team of LEGO designers, MINDSTORMS user-enthusiasts and leading technology experts. LEGO MINDSTORMS EV3, available in summer 2013, will be previewed to members of the global media at Digital Experience! on January 7 and will be demonstrated to CES attendees during the [email protected] Summit, January 8-11, 2013, in the Venetian Hotel.